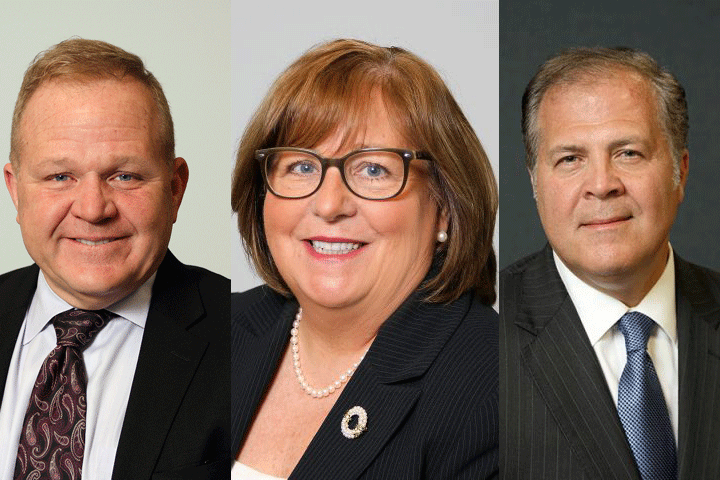 MORRIS COUNTY — Freeholders Douglas Cabana, Thomas Mastrangelo, and Kathy DeFillippo today announced their candidacy for re-election in 2019. All three will run together as a team in the 2019 Republican primary in June. In the last three years Cabana, Mastrangelo, and DeFillippo have worked with the other members of the Freeholder Board to bring lower taxes, reduced debt and improved infrastructure to Morris County. Their experience and broad backgrounds have allowed them to bring innovation and accountability to county projects and financial decisions. “I look forward to running for re-election with Kathy and Doug in 2019. We have worked well together over the last six years and hope to have an opportunity to continue the successes of the last six years,” stated Mastrangelo. While serving together, the team has guided the county to annual fiscal responsible budgets including multiple ZERO tax increase budgets and reduced the county debt by tens of millions of dollars. “We have demanded accountability and responsibility from everyone involved in county government, beginning with our own Board. It is imperative that we continue to ensure that taxpayers get the most from their hard earned tax dollars,” stated DeFillippo. Cabana, Mastrangelo, and DeFillippo will be opening their campaign headquarters in January and look forward to getting started on the 2019 campaign.